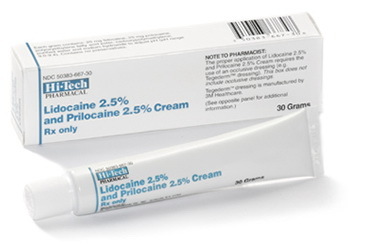 Topical Lidocaine with Prilocaine 2% - 2.5% cream in 30 gram tube. 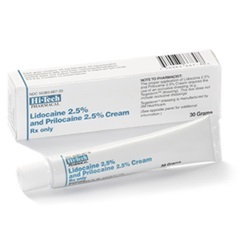 Antipruritic and local anesthetic. NDC: 50383-0667-30. Manufactured by Akorn. Comes as singles.